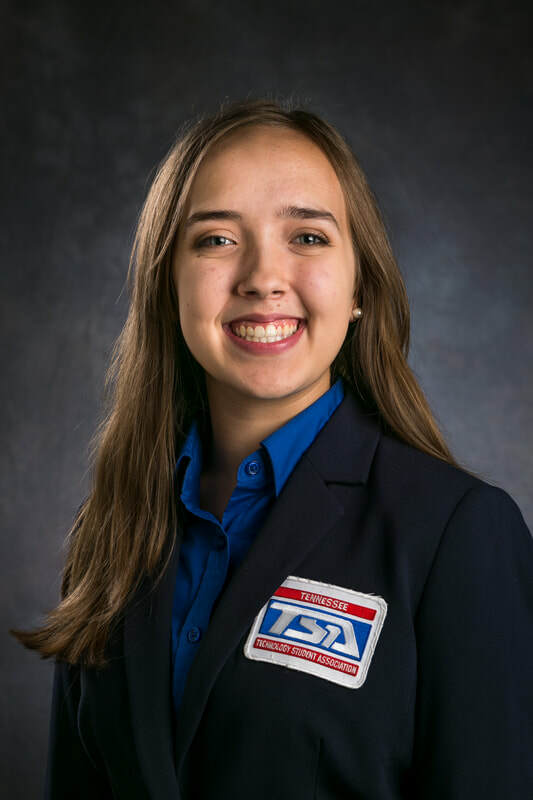 Hello Tennessee TSA, my name is Victoria Hart and I am incredibly honored to be serving as your 2018-2019 State Sergeant-at-Arms. I am currently a junior at Hardin Valley Academy in Knoxville, Tennessee. I joined TSA in 9th grade and immediately fell in love with the organization and the opportunities it provided. I have had the chance to serve as a chapter officer and compete in a variety of events at all levels of this organization. Through attending conferences, interacting with our membership, and competing in events, I have gained both leadership and academic skills that have bettered me as a person and helped me choose to follow a path towards a career in medical research. I am beyond grateful for the experiences that TSA has allowed me to be privilege to, and am immensely excited to be serving this organization over the coming year. When I am not wrapped up in TSA, you might find me at dance class, reading a great book, or participating in one of Hardin Valley’s clubs, such as Scholar’s Bowl or Drama Club. Over the next year, I would like to personally focus on increasing participation in fundraising for the American Cancer Society, while also increasing membership across the state. I am truly honored to be serving on your 2018-2019 State Officer team, and thankful for the opportunity to become even more involved with this wonderful organization.